We recently moved our family clear across the country to a VERY small town in the south. Our new home was more than what we ever dreamed it would be and a whole lot larger. Large is good, right? In some ways, yes, and in other ways not so much. It also means a whole lot more to maintain and keep clean! Keeping a house clean with 4 kids is hard enough, keeping a large house clean can be even trickier! 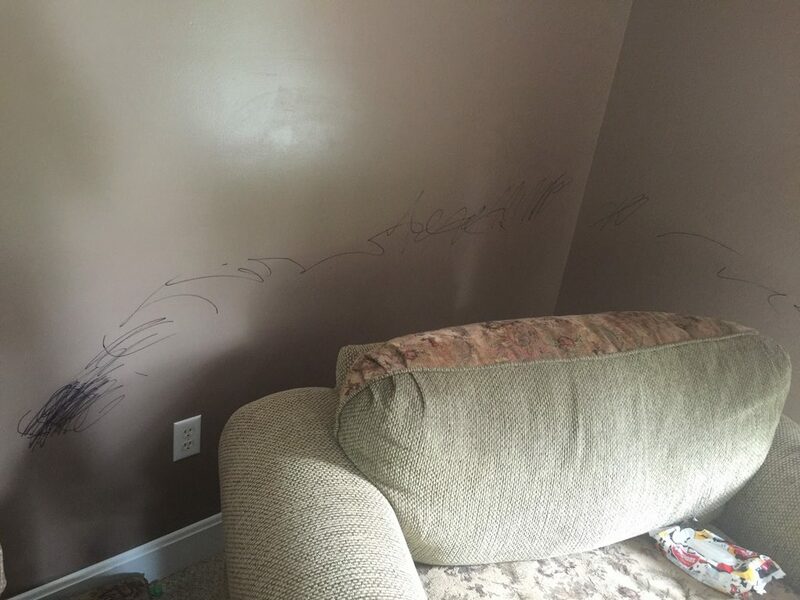 For example, we had only lived here for a month, when my 3 yr old found a sharpie and decided to add his own artistic touch to our beautiful living room. I cried when I saw it. I ran to the cupboard to grab a magic eraser and to my horror, there were none left! I tried everything else I could find…but nothing would remove it completely. The new owners had left us touch up paint….for every room except that one…of course! 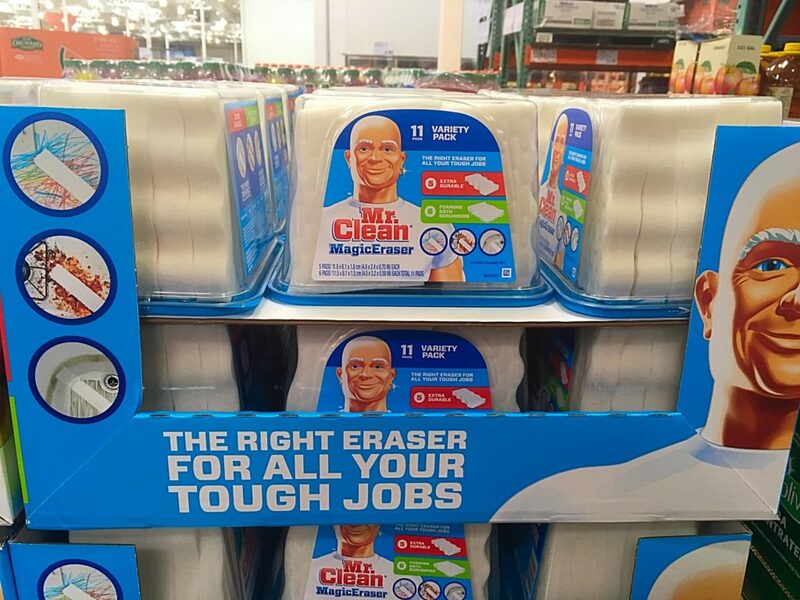 Well, the next time I went to Costco, Mr. Clean Magic Erasers were on sale and I STOCKED UP! Here’s the crazy part. I figured there was no hope for my walls since it had been several weeks now but I pulled out a magic eraser and tackled it anyway. It took some elbow grease, but it came off! I was amazed! I will never run out of these bad boys EVER again! Be Prepared! Kids WILL make messes, but a whole lot can be avoided if you are prepared. Buy washable art supplies, hide the permanent markers, put the pancake syrup on the TOP shelf, you get what I’m saying, right? Arm yourself with the best! Learn a lesson from my beautiful wall and always keep a great supply of the best cleaning weapons (a.k.a. magic erasers!) Here’s a link to other great P&G Household Needs Products that you can get at Costco. It’s the little details that set P&G products apart from the rest. If it smells clean, it is. My kids our famous for making multiple wardrobe changes daily and somehow always putting dirty clothes NEXT to the basket instead of IN it. It can be frustrating to discern which clothes are truly dirty or clean to avoid extra laundry. By using laundry detergent that makes our clothes smell wonderful, it’s easier to know which clothes have been recently washed, and which ones are dirty! 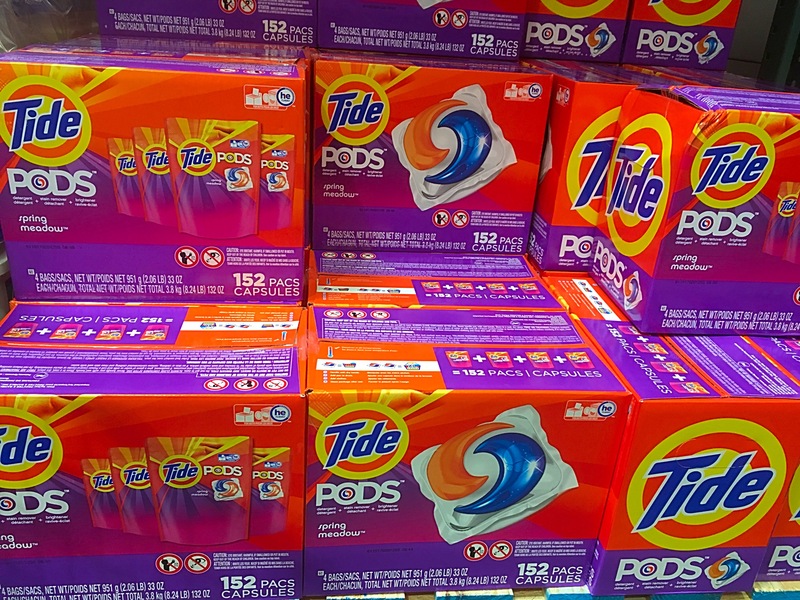 Costco always has a great price on Tide Pods which I love! One a day. Don’t try to tackle it all at once. Try doing a little bit everyday and you’ll have more energy to get through your week! Breathe…and then take a picture! When a child makes a huge mess, our first instinct can be to get upset and frustrated. Some of our best family memories, though, have been pictures of all the crazy stuff my kids have done. You’ll laugh about it someday, I promise!